The Dromkeen ambush took place on 3 February 1921, during the Irish War of Independence, at Dromkeen in County Limerick. 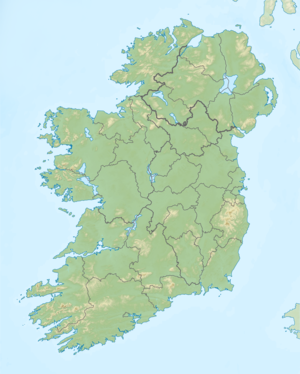 The Irish Republican Army (IRA) ambushed a Royal Irish Constabulary (RIC) patrol, killing 11 policemen. The ambush was carried out by the flying columns of the East and Mid Limerick Brigades IRA, some 45 riflemen, under the command of Donnocha O'Hannigan commander of East Limerick Brigade Flying Column. Some time earlier the RIC had found the arms dump of the Mid-Limerick Brigade. Only one IRA volunteer—Liam Hayes—was wounded. Only two of the RIC got away. Nine were killed in action and another two were executed after being taken prisoner. Three of the dead RIC officers were Irish and the rest were British Black and Tans. In reprisal, British forces burnt ten homes and farms in the area. It has been claimed that three of the RIC dead were executed after they had surrendered. Particular suspicion for this alleged killing of prisoners has fallen on Maurice Meade, a former British soldier who was captured by the Germans in the First World War and had joined Roger Casement's Irish Brigade. ^ Cleary, Phil (October 3, 2006). "Blowing up a storm". Herald Sun. ^ Hopkinson, Michael. The Irish War of Independence. p. 121. ^ Clearly, Phil. "Donncadh OhAnnagain: At War with the Black and Tans". philcleary.com.au. ^ "Blood of all sides remembered at Dromkeen ceremony". Limerick Leader. 9 February 2009. Archived from the original on 12 April 2013.